Tomorrow, I will start an unprecedented experiment in design thinking: A course combining fundamentals of psychology and design thinking tools & techniques. I am very happy I can do this at Hongik University, Korea’s Nr. 1 University in design, in combination with the Emotion Engineering faculty of Sangmyung University. 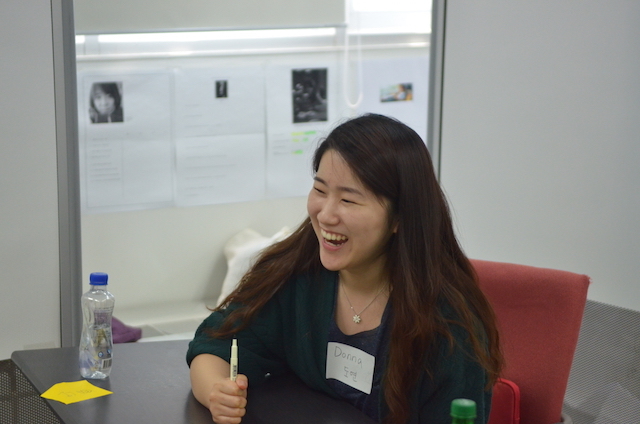 This course is a follow-up of a workshop I gave at Hongik University on 29 May 2015. 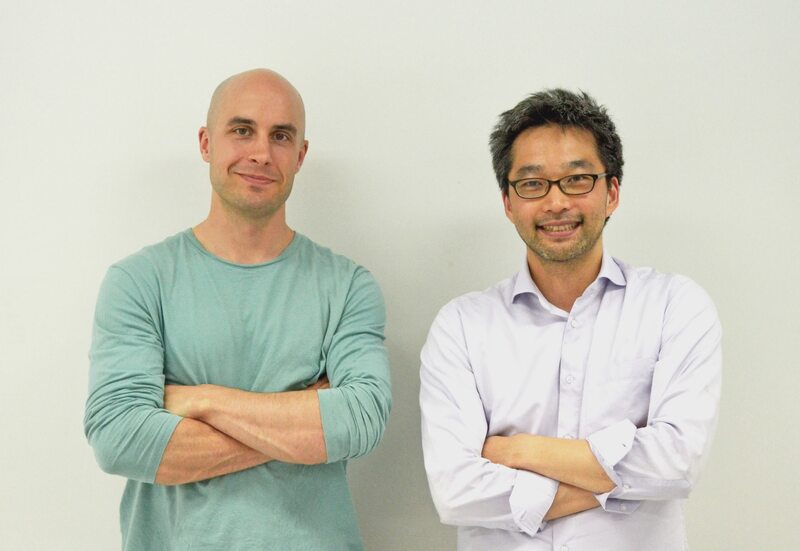 Here is a photo of the host, Prof. Sven Schelwach and me. So I am really looking forward to this new experiment. It is exciting because it contains challenges on multiple levels: First, students from different universities will mix in teams. Second, there will be age differences of several years to span. Third, the course is in English, hard for some students. And last but not least, I will try to release their creative thinking processes despite all the above-mentioned challenges. 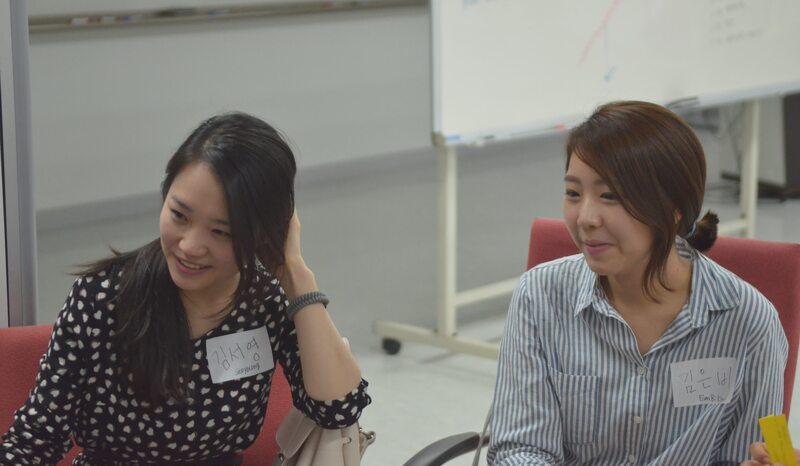 On the other hand, both Sven Schelwach and Jieun Kwon are professors who have the right mindset for design thinking – I experienced them both as very encouraging and motivating to the students. So with their support, I think we can tackle this challenge. Or as Koreans say: Fighting! Sometimes, people find design thinking interesting, but cannot apply it in their daily work because… (a) the coaching is too much money, (b) it means too much organizational work to motivate and coordinate various participants for the same day, and (c) even if you can bring the people together, a typical 1-day workshop is just too much time for them. In essence, design thinking for some people is just too expensive, too much organization, and too long. That’s why many design thinking initiatives gradually fade and die in organizations. So there is no solution for this dilemma? I propose the simple concept ‘mini design thinking’ – I call it this way because it stands for a design thinking process that is stripped off any elements that take a long time. These time-consuming elements include defining the design challenge, modeling the personas, customer journey mapping. What remains are still design thinking essentials: Time-boxing. Interviews. Ideation. Prototyping. Testing. And of course: The end user perspective. 10:12 Observe: Participants conduct interviews among each other in pairs, and take notes on post-its – only insights. (3 min per interview, including note-taking, 2 rounds = 6min). 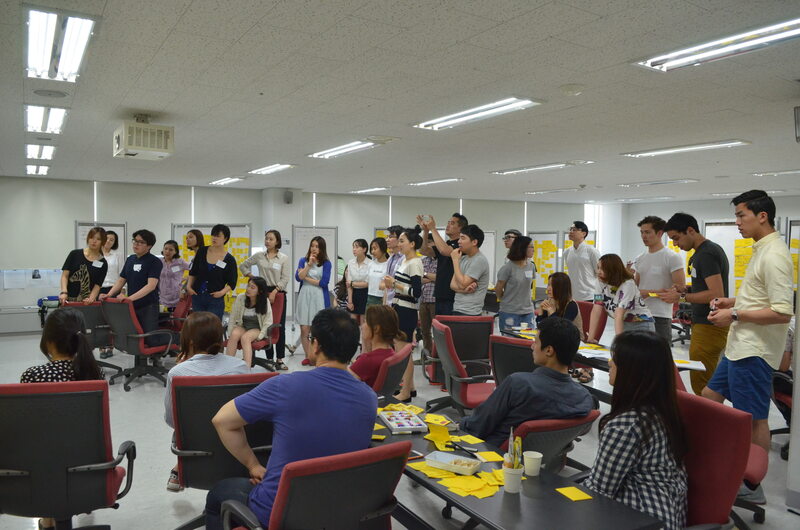 Each participant then presents the found insights with post-its (0,5 min/person). Clustering (2 min). 10:44 Prototype: Participants draft prototype solutions based on all brainstormed ideas. They take an A4 sheet as template that contains: Title, Tagline (the concept in one sentence), Introduction, Reasons To Believe (10 min). 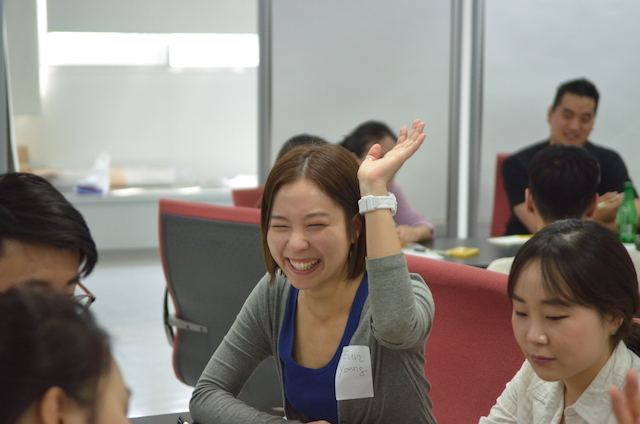 10:54 Test: Each participant presents his/her prototype to the others (1 min/person). Voting on favorite (1 min). Summary & Take photos (1 min). Now here comes the difficult part: Apply common sense to what you can expect from mini design thinking. The stripped-off time-consuming elements are time-consuming for a reason: They represent complex analysis or decision making processes that require the participants to converge on a common mental model. If the teams succeeds in doing so, it can harness tremendous value from such activities. As mini design thinking does not contain these activities, do not expect the same value as from a full-blown workshop. Nevertheless, there is a good reason why these time-consuming activities are left out: More often than people admit, these activities don’t yield high value for the team. There are many reasons for that: The team falls into endless discussions about a decision, e.g. which design challenge is the most important. Or the team runs into too much detail in modeling the personas. Or there is one single person that hijacks the discussions by endless monologues or two-point discussions. it is rather a quick AND good process for people who can work very focused in a team. Quick not only due to the short overall duration, moreover because there is no room for leaning back between the transitions – each participant must maintain a high cognitive energy level for generating and absorbing new knowledge. It is still a good process even though it is streamlined – because it strictly relies on time-boxing each activity. The much higher rhythm can be very stimulating for some people. Even though it can also be stressful for some people, the good news is that the mini design thinking session only lasts for 1-2 hours, not a whole day. So… when do we start?? ?